The “history” of 3GPP system “entering” the unlicensed spectrum regime is shown in the figure above (it seems already a long time since the operators wanted to get onto unlicensed bands). Tight LTE interworking with WiFi is one way for the MNOs to offload traffic. 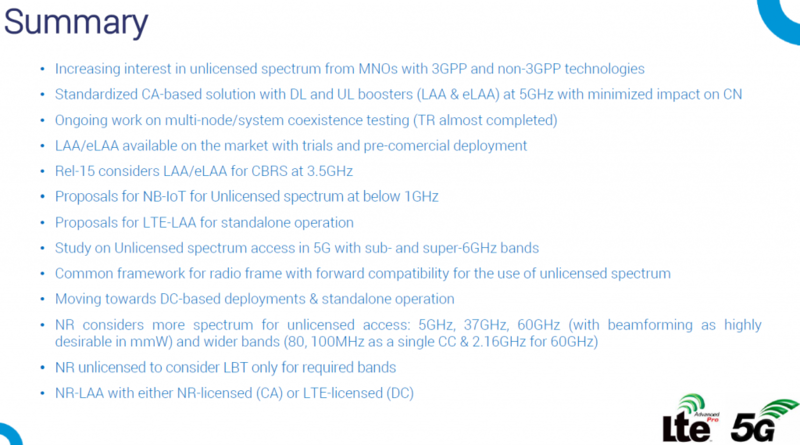 The other one, discussed within this blogpost, is based on a specialized design of LTE system to be able to cope with ISM/license exempt bands’ special requirements e.g., fair coexistence with other users of this spectrum (e.g. Legacy WiFi). This was defined under 3GPP Rel-13 Licensed Assisted Access (LAA) feature and is aimed at leveraging investments on the existing or planned LTE infrastructure. 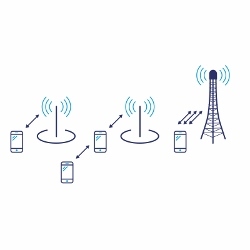 By doing so, there is no need for integration of two independent systems (i.e., LTE and WiFi as in LWA) for using unlicensed spectrum, but the operation is under common LTE framework, being more flexible in terms of resource allocation. However, there are two other systems that are present in the industry (however, as of now, of less commercial importance), namely: LTE-Unlicensed (LTE-U) and MuLTEfire. Neither of them is a 3GPP standardized feature, however it’s worth mentioning both, to illustrate the differences, as there was a huge debate on allowing the LTE system (i.e., a system operated by big MNOs) to use the “free for all” spectrum, where IEEE 802.11 had a significant voice in evaluating LTE in Unlicensed scheme (to make sure the fairness “is achieved”). The unlicensed spectrum access through the 3GPP specified systems is still subject to an ongoing discussion during the standardization of 5G NR – and specifically during the Rel-16 Normative Work. Let’s see how this goes, as LAA, LTE-U and MuLTEfire has not been much of a success till now. LAA is a concept of Carrier Aggregation between the licensed LTE carrier (Primary Component Carrier, PCC) and one or more (up to 4) unlicensed LTE carriers (Secondary Component Carrier(s), SCC) at 5GHz band . This means that up to 80MHz BW can be aggregated within unlicensed spectrum. 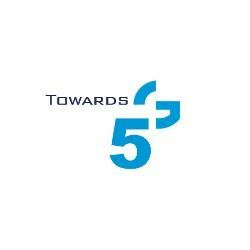 It provides significant additional capacity for the system for boosting performance (primarily for Best Effort data), managed by licensed carrier, acting as reliable signaling and mobility anchor (as well as resource for non-BE QoS services). As Rel-13 specifies LAA for DL only, it is a SDL type of CA, where the feedback (PUCCH) of the SCC is provided over licensed UL counterpart (UL PCC). Rel-14 specified also the unlicensed version of LTE air interface for the uplink operation. See main features of both schemes in the figure above. The eNB senses the available unlicensed channels to choose the “empty” channel to avoid interference to / from WiFi (constantly measures channels and switches, when the currently used one is occupied). Only, if there are no “empty / clean” channels, it enters into the coexistence CSAT scheme, based on adaptive duty cycle, where the LTE is ON (i.e. transmitting regular DL frames) during a specified percentage of time, and then it is OFF for the rest of the period where the WiFi is allowed to use this time. 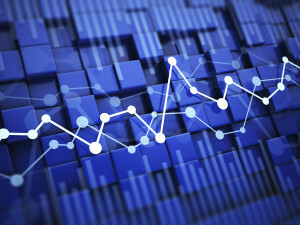 The eNB senses the chosen channel for up to 200ms and based on channel occupancy, the percentage of LTE ON time is adjusted (i.e., the duty cycle is subject to WiFi activity). As the channel gets more or less congested, the duty cycle is adaptively changed to support fair sharing. The major problem with this approach, is that it is the LTE system that decides on how much time it occupies, and WiFi needs to follow. Thus, this is not considered to be “fair”. Also, this solution then can only be applied in several countries, like USA, Korea, China and India where there are no regulatory restrictions on such an approach. The regulatory bodies in the other countries require LBT mechanism for ensuring “fair” sharing, thus LTE-U cannot be used there. MuLTEFire system is being specified by MulteFire alliance , where the basic approach is to support LTE in unlicensed spectrum as a standalone operation (not anchored to licensed LTE counterpart). 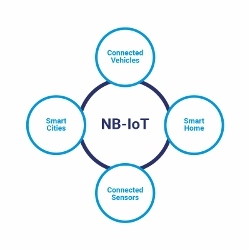 This technology aims at enabling Small Cell operation solely in unlicensed spectrum. Similar to LTE-U it is a non-3GPP standardized system, however it is solely based on Rel-13 LAA for DL and Rel-14 eLAA for UL operation, to enable global reach (i.e., MuLTEFire fulfills regulatory requirements on using LBT). Due to lack of the licensed anchor, MuLTEFire allows neutral host concept, where multiple operators share the MuLTEFire resources. However, due to the standalone operation, certain enhancements for the signaling support are added to the regular LAA operation including mobility, signaling, paging and system information support. Additional difference to other unlicensed spectrum access schemes is that MuLTEFire is aiming at support also 3.5GHz band in the USA under the CBRS framework as GAA (Generalized Authorized Access) allowing to use up to 80MHz BW, if this not occupied by incumbents. 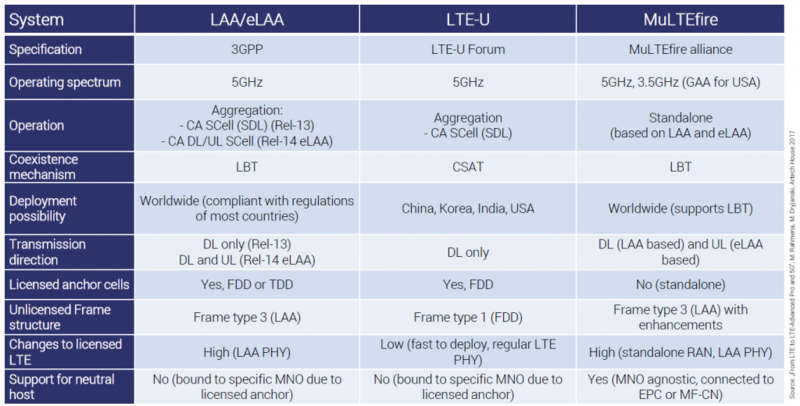 The table below compares the three technologies for the LTE in unlicensed spectrum operation . 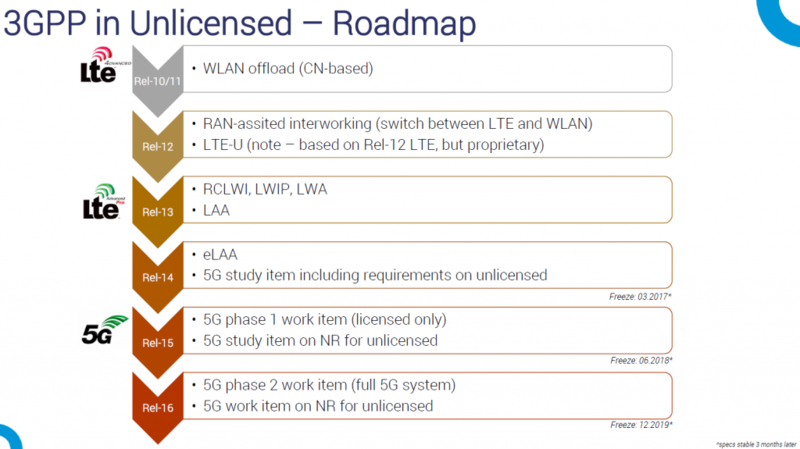 Regarding the standardization of unlicensed spectrum including LTE and 5G NR, the summary is presented on the figure below (from one of our training session). Note: the info in this post is based on one of the chapters from our book .